From plain-old cigalikes to eGo-style vaporizers and even slick USB stick or credit card-shaped devices, beginner vapers these day really have a lot of options to choose from. However, very few of them – if any – are actually regulated. They just use the straight voltage off the battery until it dies, and don’t allow you to adjust the power output in anyway. That’s where the new CB-60 kit from Wismec comes in. 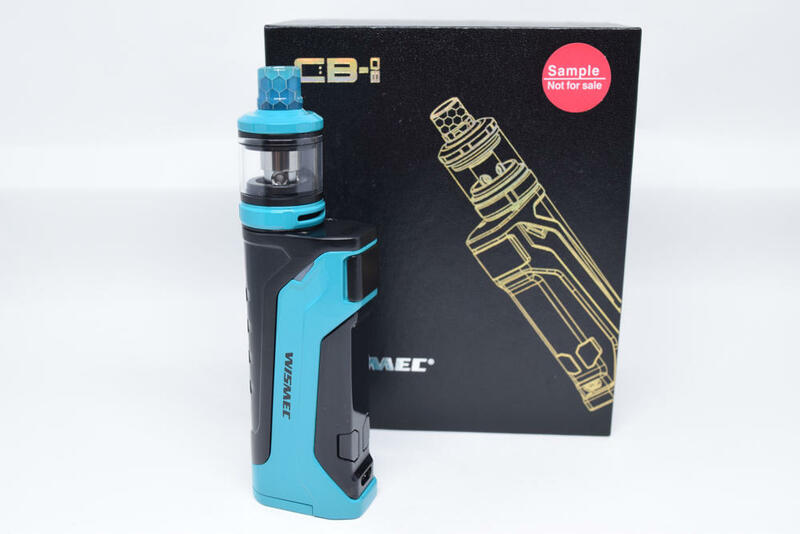 Designed by Wismec in collaboration with Jake Barney – whoever that is – the new CB-60, short for “Check Bunny 60W”, is a starter kit aimed at beginners and intermediate vapers, especially those interested in experimenting with nicotine salts. 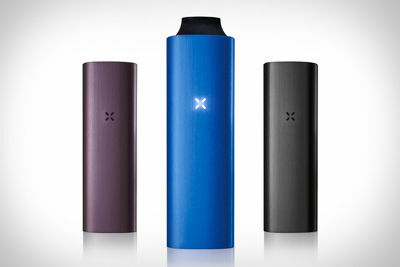 If nicotine salts sound familiar, it’s the same stuff PAX Labs use for their highly successful Juul electronic cigarette. While regular e-liquid contains freebase nicotine, combustible cigarettes contain naturally occurring nicotine salts – nicotine complexed with organic acid. This is nicotine in its natural state. Companies like PAX have found a way to create these nicotine salts in a laboratory, and claim that they are superior to freebase nicotine both in how fast they are absorbed by the human body and how much more satisfying vaping them feels. I for one have never used nicotine salts-based juice, so I really can’t confirm if all of the above is true, but if you’re curious about nic salts, the Wismec CB-60 was apparently designed with them in mind. 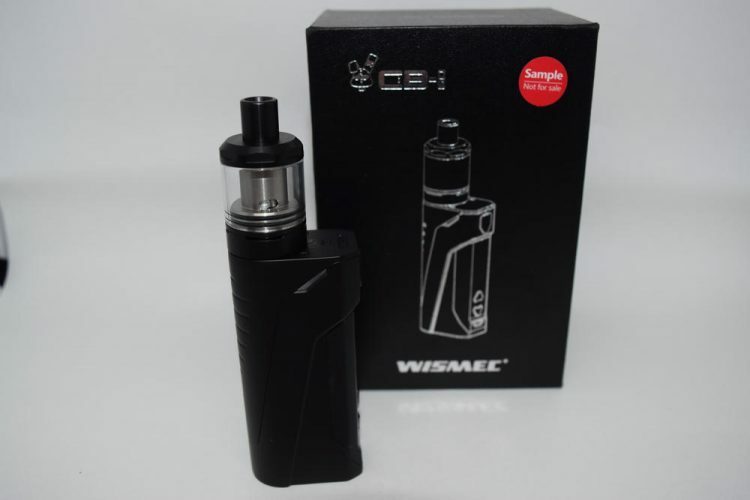 The Wismec CB-60 comes in a rectangular cardboard box and contains the CB-60 mod, the Amor NS tank, a spare glass tube for the tank, spare o-rings, a micro-USB charging cable, a replacement coil-head, and a user manual. It’s actually a really nice kit, and I’m glad that they decided to throw in a backup glass tube, in case you manage to break the original one. One thing I noticed was that the contents list on the back of the packaging mentioned both an 0.2Ω sub-ohm coil-head and a 1.5Ω MTL coil-head, but mine actually included just two MTL coils. I don’t know if it was a printing error, or if they just mixed up the coils, but I was only able to use the Amor tank for mouth-to-lung vaping. The CB-60 may look like a medium-sized mod in the photos I took, but it’s actually on the small side, and very comfortable in the hand. The mod itself measures 75.9mm x 36.9mm x 22.6mm, while the Amor tank is 44.9-mm-tall and has a diameter of 22mm. But don’t let the size of the CB-60 mod fool you, this thing is as sturdy as they come. The body is primarily zinc alloy, and even the small bits of plastic, like the buttons and the protective cover of the LED display, feel really tough. Design-wise, the CB-60 definitely looks like a Wismec device. It may not be as bulky as the RX200 or even the Reuleaux RX Mini, but the general design has the company’s signature. That may be a pro or a con, depending on your personal taste, but one thing that can’t be contested is the quality of the materials. As I said, everything is really well put together, there are no loose elements, no rattle, and the CB-60 feels very solid in the hand. One thing that stands out about the CB-60 is the curved display cover. 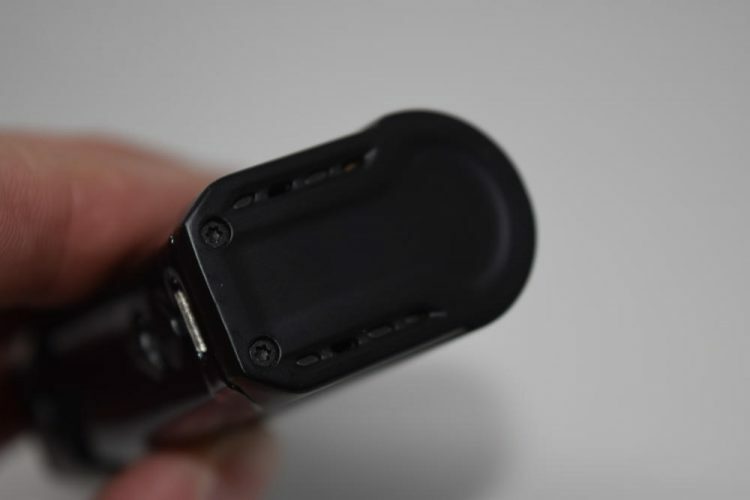 Wismec seems to have taken inspiration from Samsung and their curved display for the Galaxy EDGE model, as the plastic cover stretches across both sides of the device, offering a little peak inside. Again, some people may hate the way it looks, but it’s definitely a new approach in terms of design. The triangular buttons of the CB-60 may be plastic, but they don’t feel cheap at all. They are clicky, have no rattle whatsoever and actually look pretty good too. Other notable design elements are the two LED indicators on each side of the device which light up green when you vape, and the vent holes on the bottom. The 510 connection feels very sturdy, which leads me to believe that Wismec learned their lesson after dropping the ball with the connection of the otherwise awesome Predator 228 mod. I personally had no problems with it, but there were a lot of reports of the 510 connection coming off the mod. No such risk with the CB-60, though, trust me, I tried. 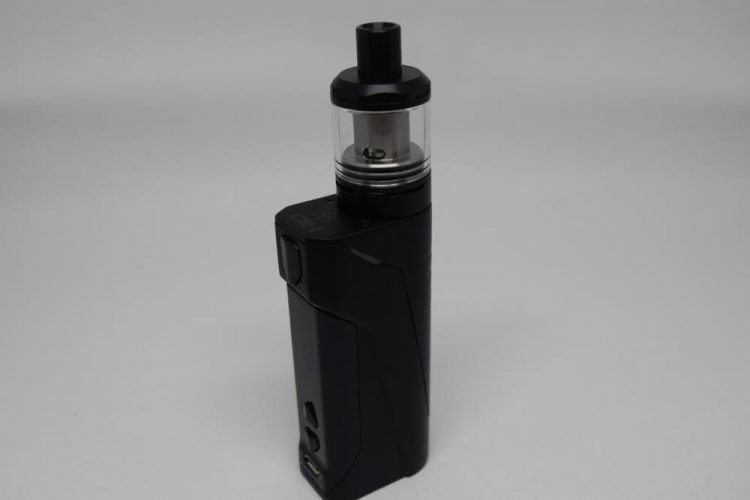 The Amor NS tank that the CB-60 comes paired with doesn’t look very impressive, at least when compared to premium tanks, but you have to keep in mind that it is aimed at beginners and intermediate vapers. 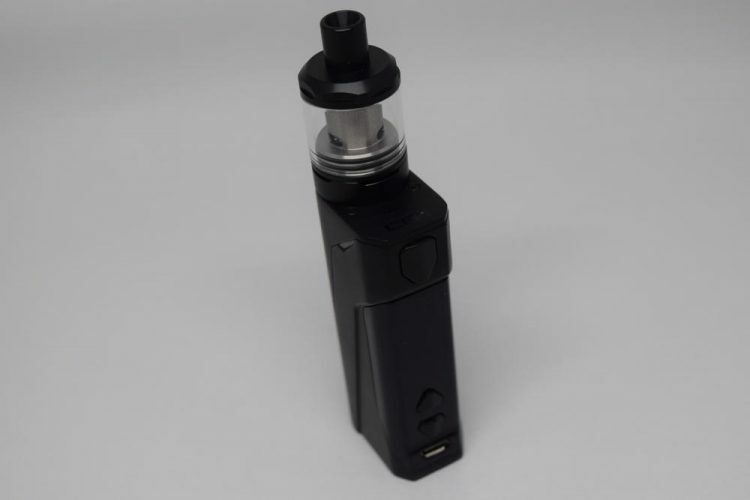 It’s a 22-mm tank that holds up to 2 ml of e-liquid, features adjustable bottom airflow, a Delrin 510 drip tip and a rudimentary top filling system (you just unscrew the top cap and pour the juice into the glass tube). The WSO3 coil-heads look a lot like the ones Aspire makes for most of its tanks, but what’s different about them is the orientation of the actual coil. Most of these disposable coil-heads are positioned vertically inside the metal casing, simply because it’s easier to mass-produce them like that, but Wismec went for horizontal coils, which should theoretically improve the flavor. It’s not going to be a huge difference, but the air hitting the outside of the coil is definitely preferable. Overall, the CB-60 feels like a solid device, and the Amor NS, while not particularly impressive, is a decent tank that should definitely please its target user base. To an advanced vaper, the CB-60 vape mod will probably seem rudimentary. It has no temperature control mode, no adjustable curves, and no fancy customization options. 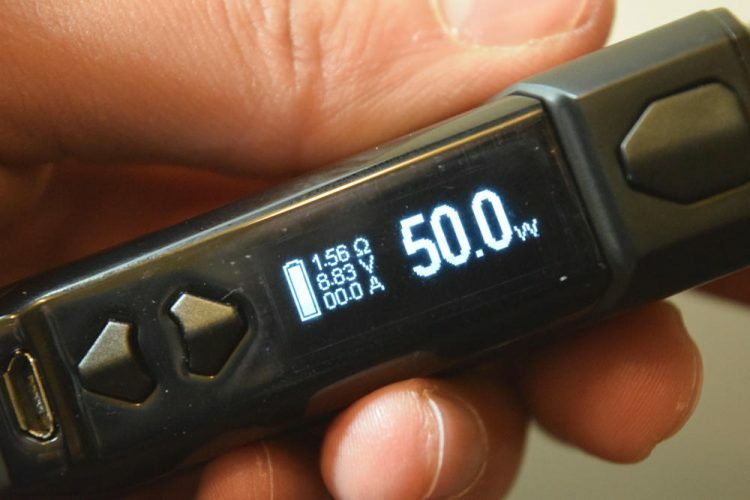 You can only use this thing in power mode, but the fact that you can actually adjust the power output from 1W to 60W is already more than enough for people who are just getting into vaping. The LED display is kept very simple, as not to confuse beginners. It shows the wattage, a battery indicator, the atomizer resistance, voltage and amps/puff time, puff counter. Even with so little information on screen, people used to just lighting their cigarette will probably be overwhelmed at first. So even though this is marketed as an entry-level device, it’s important to at least know basic stuff like Ohm’s law in order to use it properly. The CB-60 doesn’t have a proper menu that you can access. All the adjustments are done on the home screen, using simple button combinations. To turn the device on/off, you press the fire button 5 times in rapid succession. The wattage can be adjusted with the “up” and “down” buttons. 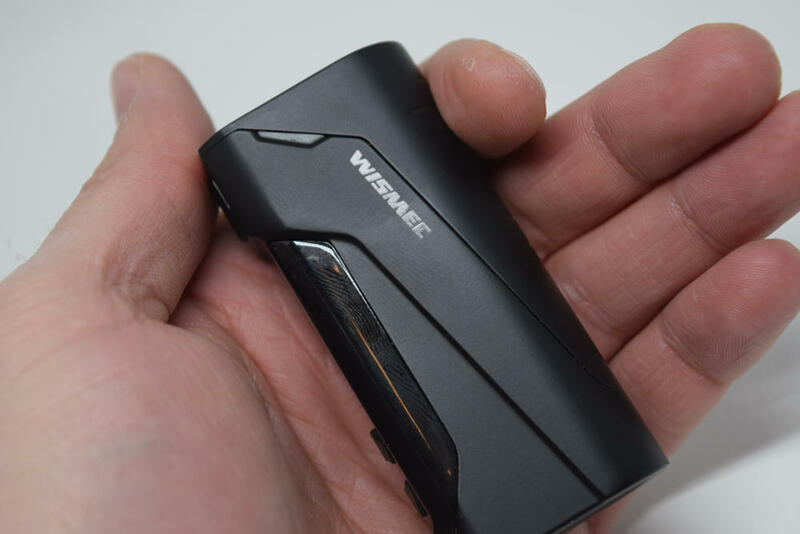 That’s about all you really need to know to use the Wismec CB-60, but this little device does offer some secondary options, if you’re the kind of person who likes to tinker with their gadgets. Keeping the fire button and the “up” button pressed for a couple of seconds, will cause the Amperage on the display to blink. You can use the “up” and “down buttons” to replace that option with the puff counter or the puff timer, and confirm your choice with a press of the fire button. 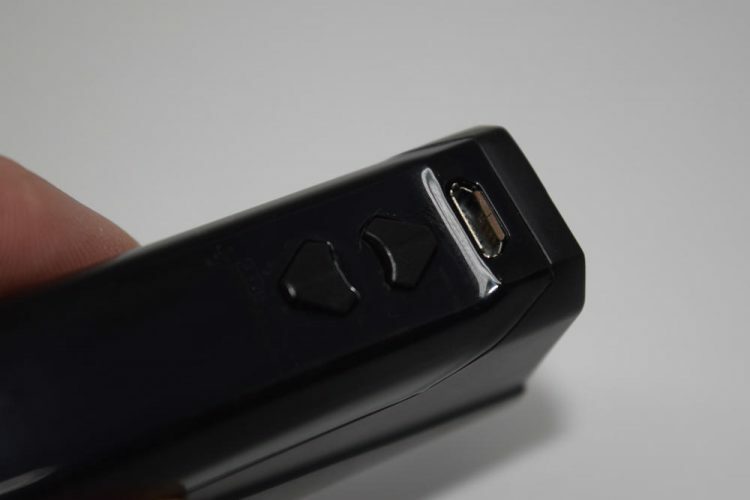 The fire button and “down” button activates “Stealth Mode”, which basically allows you to vape with the display turned off, and pressing the “up” and “down” buttons simultaneously lets you lock these two buttons, while leaving the fire button active. You can also flip the orientation of the display by pressing the “up” and “down” buttons while the device is turned off. I don’t see anyone ever using this, though. Finally, the Wismec CB-60 also allows you to turn a function called ENU on and off, by pressing the fire button three times rapidly. When ENU is turned on, it prevents battery charging in extreme temperatures (over 45 degrees and under -5 degrees Celsius). It’s basically an extra layer of protection, on top of the usual overheating protection, short-circuit protection and low resistance protection. Why they decided to include a feature like ENU on a beginner device is beyond me, but stranger still is the fact that they chose to make it optional. Why would anyone want to purposely turn ENU off? If charging the battery in extreme conditions is unsafe, why give users the option to do it anyway? The Wismec CB-60 has a built-in 2300 mAh battery, which is not bad at all, especially if you consider how small this mod actually is. How long that battery is going to last you depends on a variety of factors, the most important of which is the power output. With the 1.5Ω coil-heads included in the kit, you’ll probably be using the CB-60 at around 10W – 15W. Depending on how much you vape, a fully charged battery should keep you vaping at least 2 days, maybe even 3, which is really good. Luckily, the CB-60 can be used while charging, by hooking it up to a USB port, so you don’t actually have to wait until it is charged to vape it. Better still is the fact that this little guy features fast charging technology, which means that it goes from depleted to fully charged in just a few minutes. The mod has a max power output of 60 watts, but you won’t always be able to go past a certain wattage, when adjusting it. 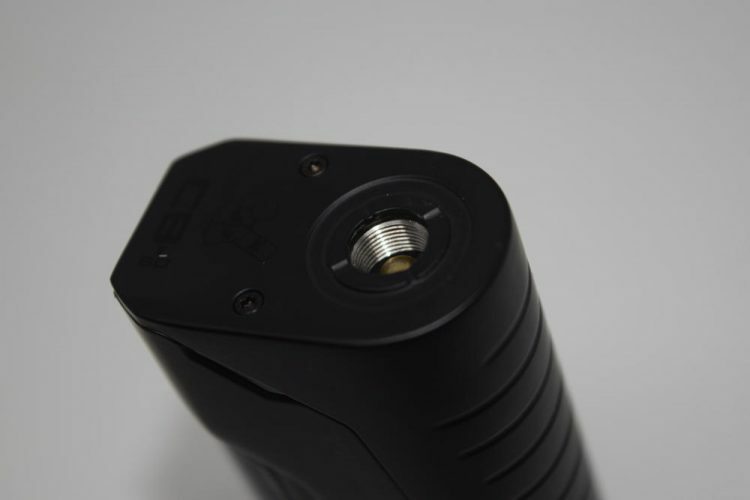 For example, with the 1.5Ω coil-heads, the mod only lets you go up to 54W. That’s because the CB-60 only fires up to 9 volts. With lower resistance atomizers you should be able to bump the power to maximum, but that doesn’t mean you should vape at such high levels with any coils, so be sure to check a volts-resistance chart, just to be sure you don’t burn your wick. So battery life is not a problem, but how does the Wismec CB-60 vape? Well, it depends on your expectations, really. 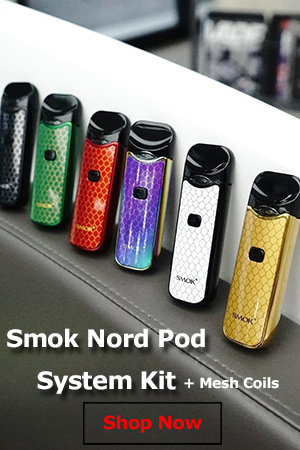 If you just got off cigarettes and are looking for something that will give you a very similar experience, this device, in combination with the Amor NS tank, is probably one of your best options. But if you’re looking for something to blow huge clouds of vapor with, you’re not going to like this kit very much. Even though we’ve talked mostly about the CB-60 mod, it’s the Amor NS tank that really makes this kit suitable for beginners and intermediate users. 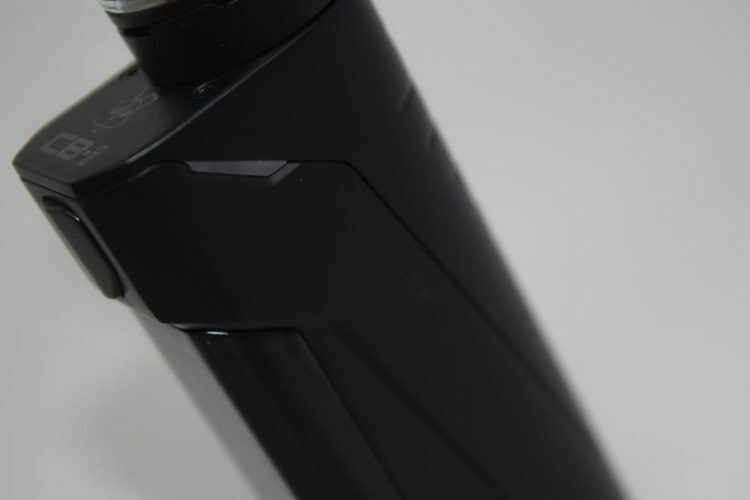 In fact, the mod itself can be used with any atomizer, but anything over 22 mm in diameter will overhang. What really makes the Amor NS and its coil-heads special is the tightness of the draw. I have used MTL tanks before, even though I am not a fan of mouth-to-lung vaping, but I’ve never experienced such a tight draw. Even with airflow slots wide open, drawing on the Amor NS is still too tight for my liking, but closing the airflow halfway, makes it ridiculously tight. That should please cigarette smokers, though, as the extreme tightness is bound to be reminiscent of their smoking days. 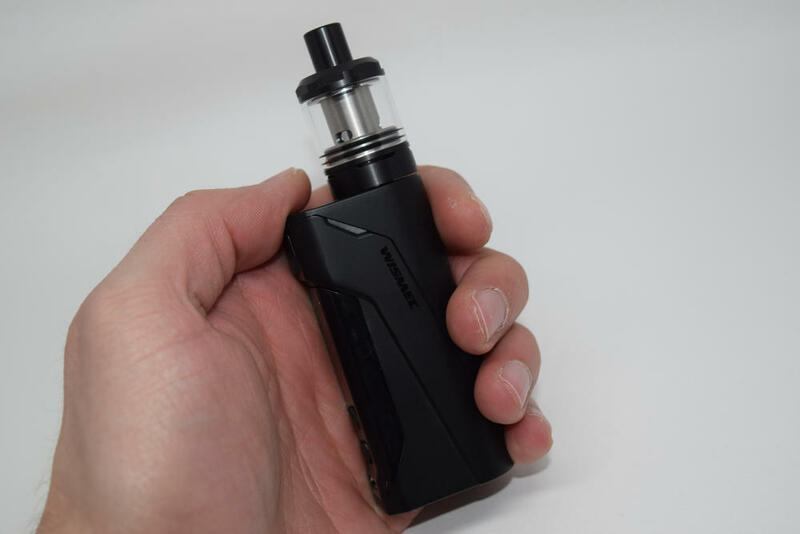 If I were looking for a smoking-like experience, I could definitely see myself using the Wismec CB-60 kit with a really good tobacco e-liquid like Black Note. Vapor production is not very impressive, but if you consider how tight the draw on the Amore NS tanks is, it’s actually quite decent, especially with the airflow wide open. Just don’t expect it to put out massive clouds of vapor. Flavor is one of the strong point of the Amore NS tank, and the Wismec CB-60 kit as a whole. As I mentioned before, the horizontal positioning of the coils probably plays a part in bumping-up the flavor, but whatever the reason, all you need to know is that when it comes to a flavorful vape, this kit does not disappoint. The Wismec CB-60 is a very interesting starter kit. It may be aimed at beginners, but it’s very advanced when compared to most of its competitors. 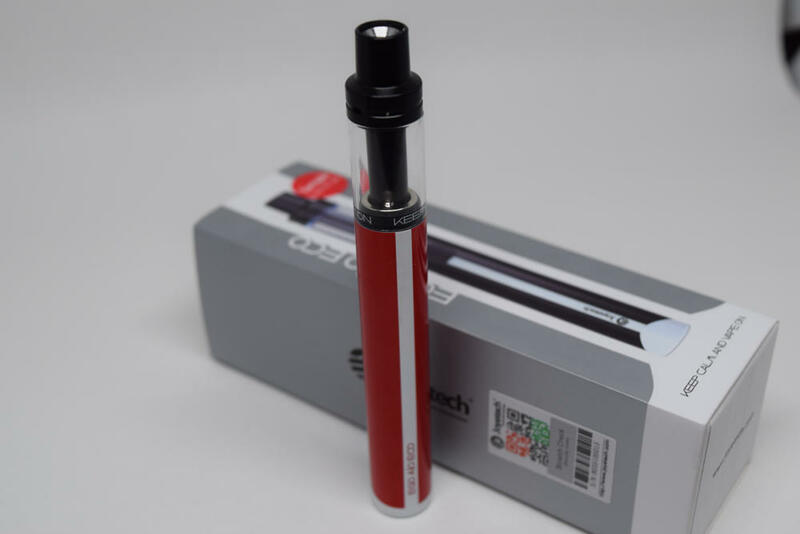 It will be interesting to see if former smokers will be drawn by the possibility to adjust the power output and thus tweak their vaping experience to their liking, or if they’ll be put off by this bump in complexity and stick to more rudimentary options, like the Joyetech Exceed D19, or the VaporFi Rocket. Another thing that could keep people away is the price. 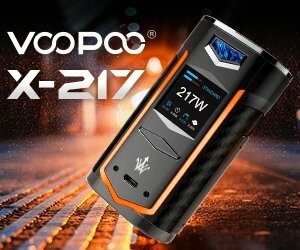 The kit currently sells for over $40, but luckily the guys at Vapesourcing are offering a $10 discount. That’s still considerably more than most other entry-level starter kits, though. I definitely hope that the Wismec CB-60 succeeds, because it really probably the best option for beginners right now.